Home >> Who sells urgent care center businesses in Rhode Island? Who sells urgent care center businesses in Rhode Island? Sell urgent care center in Rhode Island? KKBA can! When trying to decide whether or not to sell Urgent Care Center business in Rhode Island you have a clear front-runner choice, KKBA. We have been selling medical related businesses successfully for 13 years. In all this time, have never failed to sell a medical business we listed. Our Medical Sales Group, leader Phil Blum works tirelessly to connect buyers and sellers and to date, has never failed to deliver. Mr. Blum maintains a database of buyers that include “one-off” strategic buyers, regional “slow-growth” one-at-a-time buyers, small and large “roll-up” buyers and National and International buyers. We sell urgent care center from coast to coast. We might make it look easy but selling an urgent care center is possibly one of the worst DIY project you could ever undertake. My Dad, may he R.I.P., always shared little nuggets of valuable wisdom with us. 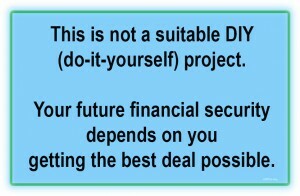 A couple of those nuggets come to mind every time I speak with someone that has decided to try to “DIY” the sale of a business. “You can’t beat a man at his own trade.” We do this everyday. We specialize in this particular type of sale. We have seen most every possible issue that one could encounter when trying to sew a deal together and have prevailed. I don’t think any other group in the country has the depth of knowledge and experience selling these businesses than we do. “You don’t know, what you don’t know.” As in many areas of business and life, not respecting the fact that you don’t know what you don’t know, or should know, before undertaking an important endeavor is a recipe for a potential disaster. You don’t have to overpay to have a great broker on your side. A recent study of brokers conducted in 2017 by Business Brokerage Press where fees were addressed shows clearly that KKBA’s fee structure is a great value. Most brokers are charging a flat percentage fee for service that does not take into account the size of a business. Selling a larger more successful business with significant cash flow can sometimes be less work than selling a smaller business. We take this into account when setting up our fees structure. Also, most brokers across the country are now charging up-front fees to list a business. Some have instituted a monthly fee while the business is listed to compensate them for advertising and other out of pocket costs. We DO NOT charge up-front fees and DO NOT charge monthly fees. We work solely on a performance based fee structure. If we are not successful in selling your center, YOU PAY US NOTHING! 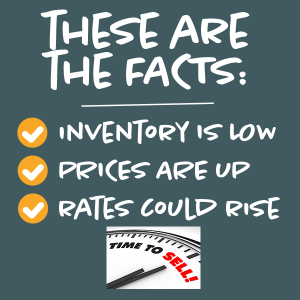 We are well into year two of a Seller’s Market and nobody knows how long it will last. The transactions we have done over the last 12-18 months have been without any seller financing. There is money now in the capital markets for acquiring urgent care center businesses which is helping to hold up values. The biggest challenge facing us today is not having enough good businesses to satisfy the demands of our buyers. So, if what you’ve read so far makes sense to you and you want to explore further the idea to list your urgent care center with us, call Jim King at 888-565-5458.